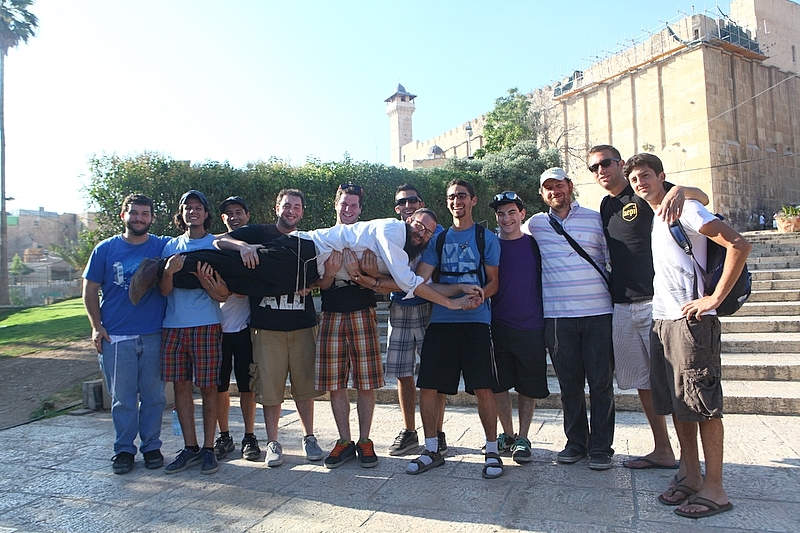 Dozens of college students took advantage of their summer break to visit Israel with Chabad on Campus’ IsraeLinks, completing the second trip this month. Led by scholar in-residence Rabbi Yosef Yitzchak Jacobson, dean of theYeshiva.net, along with Rabbi Yosef and Devora Wilhelm of Chabad of the Upper East Side, IsraeLinks took the enthusiastic students on a thrilling journey filled with fun and meaning. Students were visibly moved by their experiences. One student shared his feelings with Rabbi Yossi Witkes– Director of IsraeLinks, along with his wife Chaya – telling him; “Walking along the paths of our forefather Abraham connects me to our roots. It’s hard to describe the feeling inside as you stroll through these holy cities.” Indeed, IsraeLinks took the students not only to traditionally-visited cities such as Jerusalem, Tzfat and Tiberias, but also, after discussion with security authorities, to the city of Chevron, a vital place in Jewish history often overlooked by organized tours to the Holy Land. IsraeLinks’ impact on the students was immediately apparent. Many are now committed to Shabbat observance and other mitzvot. Over 25 percent of alumni plan on furthering their Jewish education on a full or part-time basis once they return to university or on completion of their college studies. Most importantly, all Israelinks participants are firmly committed to marrying Jews. Well done Chabad on Campus!